Hello internet, we’re back once again. It’s been nearly a month since we last spoke about our GeekOut meetups and as always, the Bristol geeks are going to get together in a pub to shout and scream their fandoms to the world. We’ll be back in the Old Market Tavern from 5pm until closing time. 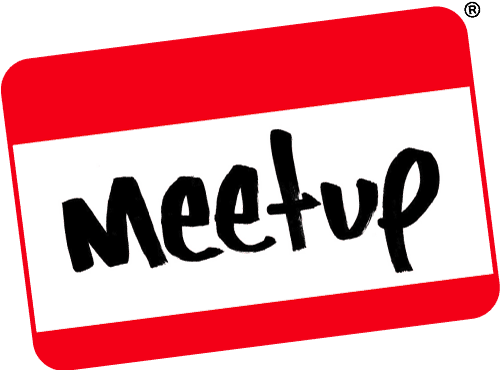 For those who have never seen our GeekOut Meetups, then buckle up as I talk us through the planned activities for this weeks’ Meetup. With my nice new stack of thirty year old magazines at my fingertips I have learned so much about the way we played in the late 1980’s, the way things have changed, the different attitudes and the ways in which technology has improved our gaming experience, and at the same time how it has left gaming styles behind. Every magazine in the stack had dozens of adverts for Play By Mail roleplay, and strategy games, covering a wide range of genres, fantasy, sci-fi, organized crime, warfare, even sports. The set up is simple: players send away to the GM for a rulebook, a guide on how to set up their characters and a down-payment on their first few turns (these things are a business after all). With the character made, the player inducted into the setting and their first turn sent back, usually in the form of a Turn-Sheet, a simple form that players fill to simply detail their actions to make it easier for GMs to read, or to make them readable by computer. The GM then collates all of the moves taken, and mails back the results. These games often support hundreds of players, and turnaround of moves is expected to be quite regular and rapid, so GMs are usually teams of people working in an office. PBM format supported many large companies thriving on the mass collective gaming experience that the style offered, and even formed large events and supporting material, including books on how to start your own company. The British Play By Mail Association held an annual convention for players and companies alike that supported an award ceremony for best games, best companies and even an award for best GM. It’s fourth event was held on the third of June 1989 at the University of London, eight hundred attendees, easily the equal of some of the biggest conventions in Britain today. With the rise of the internet and the MMO scene, surely playing roleplays by snail-mail is as dead as disco. Well actually, much like disco, PBM has survived, diversified, and lurks in corners of the internet you might not necessarily go looking round. It’s a Crime was amongst the most popular PBM games at the time, an organized crime strategy managed by KJC Games. Imagine my surprise when I went poking around and discovered that It’s a Crime is still operating, not only as Play By Mail, but now includes an e-mail option. Not only that, but KJC also run many other games in various other genres. Their prices have dropped, but their model has expanded and includes a lot of facilities that make their job that much easier. And they are not alone. Play by mail, email, or in-page form are still wide ranging around the internet, simply proving that so long as a market exists, the internet can help creators find it. The internet age may have registered Play By Mail technologically defunct, but it could never destroy the fun that players have playing them. Check out other excellent examples here, and here, or get a more extensive list here. Play by email is a rising trend, but every form of communication supports various types of RP and strategy games. Forums, message boards, and chatrooms all have their RP groups, public and private, some of which even support as many players as the old PBMs. In short, gamers always find a way. The PBM maybe a diminishing scene, but the format remains alive and well. We’re quickly coming around to our next GeekOut meetup which we’re planning on making bigger and better than ever before. There’s a lot of people signed up to this one (30 at time of writing), which means we should see a good number of people at this event. I’ve decided to start upping my game on what we do at these events too. So what do we have planned for this month? Ah yes, it was last year that I was introduced to the hilarious antics of Kitacon. This year however, Joel and I will be attending the convention as members of press. We’ve checked out our hotels, we’ve seen the schedule of activities and we’ve been following the Facebook and Twitter feeds closely. Today, I’m going to look through the events that excite me the most and perhaps you’ll join in with my excitement! This’ll seem like a really bizarre thing to actually look forward to, but I’m really excited about travelling to the convention. There’s something so pleasing about leaving your home, with your bags and your costumes in hand, then making that long journey to wherever your convention is. I’m driving to this convention, as I drive to many of them, with my friend and fellow Kitacon goer Dave who has helped us write on our Top 10’s in the past. I’ll be leaving my house at around 7am so we can get there nice and early. Dave is looking to play a few games of Magic: the Gathering with me whilst we wait, so it’ll be a good way to refine our decks and how we play as we wait for the event to start. This time, we’re not going to be about 2 hours later than expected. We’re going to be at the event way before it starts so we can get our passes and get the event off to a great start (including Joel and I having to sign the waiver to explain we’re acting as press). Something about making things glow is just damn fascinating to me. 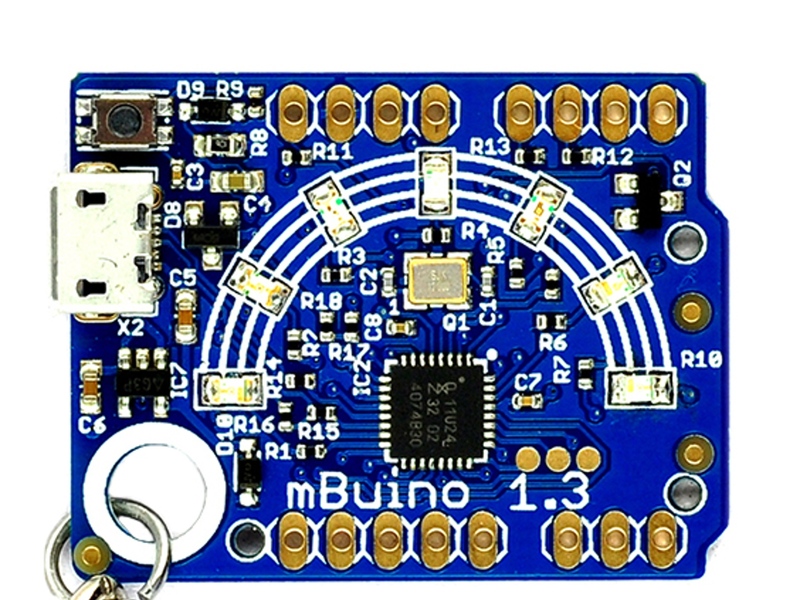 Whether it’s rather simple programming that does it, such as the little LED USB connected microcontroller we backed on Kickstarter, mBuino, or it’s a full scale Arduino board – Whatever it is, it’s fun and it’s exciting. It’s time to light ’em up! Yes, the opening ceremony of a convention is really a rite of passage. If you don’t sit through one of these, you lose a fair bit of context for what’s going down at the convention. From Charity Auctions, to Cosplay Competitions and even the Video Game Competitions, the opening ceremony covers them all. It also introduces you to the guests for the convention and allows you to just have a bit of a laugh from the very start of the event. I’m taking part in Quantum [BLEEP] so I’m excited to see what this is all about. It’s going to be an improvised RPG session – But that’s about as much as I know about it. I’m excited to play the game and find out what mysteries are in store! Hosted by the brilliant Mr Purple who attends many of the UK’s conventions, Joel and I are looking forward to this introduction to Kitacon 2015. Okay, so I’ve made a scythe. It’s not great, but it’s a scythe. I’ve also made a large mask. It’s not great, but it’s a large mask. I’m hoping that by attending this panel, there’s going to be a few tips and tricks I can pick up to make prop making easier and all around better. Who doesn’t love to watch all of the wonderful costumes come to the stage and show their stuff? It’s part of what makes these conventions so damn fun to go to. The effort a lot of people put into their costumes is simply staggering. More than I can ever say for my costumes! Still, I’m hoping to check this out! Another great element of conventions are the awesome selection of dealers you get access to. It usually works out cheaper to buy things at conventions than it does in the shops, as it’s a chance for the dealers to showcase themselves. Perhaps one day, we’ll be able to set up in a Dealers Hall for ourselves? Hey, take note Joel! Build a cosplay costume in a short amount of time, using limited resources? Sounds like my idea of heaven! I’m all about making cheap and easy costumes and on Sunday, I’ll be running around as Oskar! Muwahaha, let’s see if I can make something great in a short amount of time! Both of these panels are taking place at the same time, so I’d ideally like to go to one of them… I’m just uncertain as to which one I should attend! Both would be incredibly useful for me, but we’ll see when I get there, I guess..! Who doesn’t love a good talent competition? These are usually great fun events and I remember some of the skits fondly from last year. I wonder if there’ll be anyone who can truly take everyone’s breaths away like last year? I think enough said here, Professor Elemental makes his return and Mr. B makes his debut at Kitacon. I’m hoping for a jolly good rap off between these two gents of ‘chap hop’! Bitter rivals, yet also great friends, these two will put on one hell of a show! And of course the most important things to Kitacon – The parties and the people! Also, this year, Karaoke! Hopefully Joel and I will be hitting up the Karaoke and embarrassing ourselves. If it happens, expect a bonus video to be recorded of my ‘particularly drunk antics‘ here on GeekOut… or Joel’s so say masterful singing. I think I can see the glass shattering now. That’s it. That’s what I’m looking forward to most at this years’ Kitacon. I’m really looking forward to it and it’s only 3 working days left as of the time of writing this. Hopefully you’ll not mind seeing all of the posts we do during the event, as we’re all eager for it. My body is ready, my wallet is not… and my cosplays… Well, there’s still time! Buckle up everyone, it’s time to go Back to the Kitacon! In Bristol, on Friday July the 24th, if board games are something you find to be highly fun and interesting, then there may be just the event for you. The industry is always in need of bright people to join in from an artistic point of view. Creating art and graphics for tabletop games requires a very different set of skills and understanding that you may not be used to. Namely, as well as making sure the art looks amazing, the graphics in a game need to be functional and fit for purpose. Join us on FRIDAY JULY 24TH (2PM-4PM) for a taster session in how to create practical and functional graphic designs for tabletop games, run by Chaos Publishing. Board games, cards games and tabletop games are having a huge resurgence and we have many people calling it the Golden Age of gaming. Sales are booming, more gaming shops are opening up all over the world, interest at events is growing exponentially and even more games are being produced each year than ever before! So what does this mean for you, the humble artist? Well, the session is entirely free, so it’s time to find out! This taster will cover a good introduction to how you can get involved in this industry and the best routes to take in utilising your skillset. Afterwards, we plan on running a workshop over a number of weeks to delve into this subject in much greater detail. There’s only so much we can go through in just a couple of hours, so be sure to register your interest. 2pm: An introduction to the tabletop games industry. 2:30pm: How to seek work in the industry. An insider look. 3pm: What you need to consider when creating art and designing for tabletop games. See below for a Google Map of where the event is taking place. Oh and guess what the best thing about this event is? It’s entirely free! If you end up going to this event, let me know how it goes. I’m reaching out to the event organisers in hopes that we can get some pictures of the event so we can keep you all posted. I’m really excited to know that a company such as Chaos Publishing are getting this active in recruiting more people to developing and designing board games. It’s an exciting time, as board games really have hit an exciting resurgence. If I’m able to get myself to this event (Tricky as my day job sends me around the country), then I’ll gladly make my way over to get some pictures of the event (permission permitting) and report back what happens. Do you have anything like this in your area? Let us know in the comments below, over on Facebook and Twitter. Hey, whilst you head over to Facebook, check out our latest competition for a free copy of Goblins Know Best.